We optimize your website's images for better image search results and also boost your website pages to load faster. When you approach us, we just don't start off. We conduct a complete website analysis and think of all the damage areas that need revamping. For this, we take ample time so that we can guide you in the correct direction as to what needs to be done. SEO experts and Digital Marketers are highly deft in scheming out the perfect solution for your website and decide how much work needs to be done to bring your website on to the top. Based on how much damage repair needs to be done, we suggest you the possible packages that can will be suitable. This is helpful for us and you too; this will enable you to plan out your finances and gives us an idea as to what needs to be done and how much needs to be done. 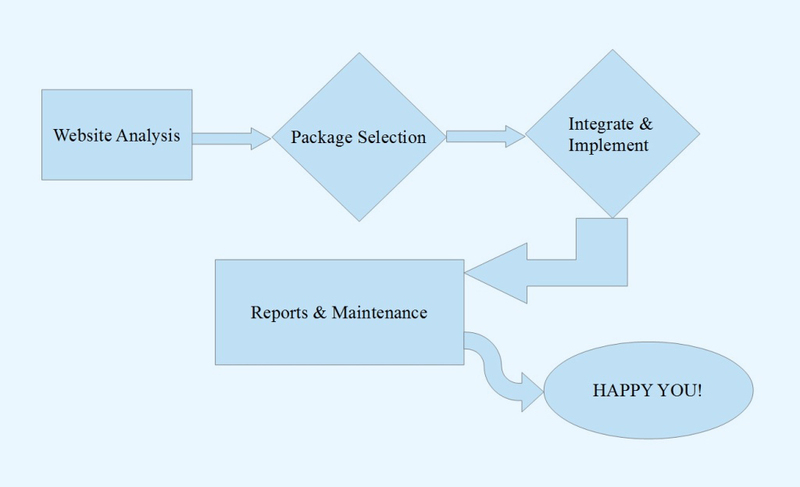 Once you buy the package, we start executing and implementing the methods defined in your finalized package. Based on that each step is carefully executed and implemented and where external platform integration is required, we do that. During the entire process, we keep you giving the status updates of how far we have proceeded and how much we have achieved. We shall be providing you with Monthly or Weekly Reports (based on your package) on far we have reached. This gives you the idea of how much we have progressed as compared to the initial position of your website on the search engine results page. Even after your website comes to the top of the search results, we suggest a monthly maintenance to keep your website floating among the top. QeSEO provided my business with a great deal of effort. They told me upfront what will look bad for the business and accordingly made changes to the website. It is inspiring to know that they have put a lot of mind and power into our website and made it appear like a winner when it comes to my business niche. Believe me, the sales shot up by good 30% in the first three months and later by 50%. I am totally happy and satisfied with the services and the promptness of the nature of their work. Me and my business were nowhere in the entire market. I decided to turn to an SEO company and though I didn't have a budget then, they made the best out of my financial boundaries and gifted my website a position a topmost place on the search results. My business has really picked up now and I am getting more orders and the local customer base has become so strong, I need more hands. Thank you QeSEO! Very professional, works quickly to get the job done right. Very kind customer service so I highly recommend, will definitely come back here for more services, because not only do they help design, correct great webpages, they also provide marketing services too. A+++ company in my opinion. Unexpected delight! Image received was obviously well thought out and personalized just for me. Artistry is incredible. Being a creative visual thinker myself, I can totally appreciate the talent behind digital content. Bravo Mansi Rachhadia, Business Development Executive at QeAgency !